This has been really rough. But we made it. I am sure glad we've made it to this point; but, I'm not happy when I look around and see where we are. It is not inconceivable that the audience of the Alex Jones show and the listeners of GCN are being worked no differently than the audiences of Glen Beck or FOX News. A Christian Patriot Family Betrayed "The John Gray Letter"
The information and documents are there for all to see and examine. You can decide for yourself what the information presented in these pages means. THAT'S what true journalism is all about. I know what it means for me. It means as soon as I post these pages, I will be cancelling my account and withdrawing my financial support from any thing related to Alex and Kelly Jones, Ted Anderson, GCN, and Midas Resources. As well as any support for GCN sponsors. Update - the cancellation has taken place. The original pages were hacked. It appears to be true that Ted Anderson cancelled Jeff Rense's slot because Alex Jones got ticked off about the link posted in Rense's headlines. This makes GCN no different from the MSM, in my opinion. I still wonder to myself... who really runs the GCN network? We've seen the associates of the Joneses. Is keeping the fear flow of gold and silver orders into Midas Resources generated by the Alex Jones show; more important than the values GCN claims to work to protect? Apparently so. 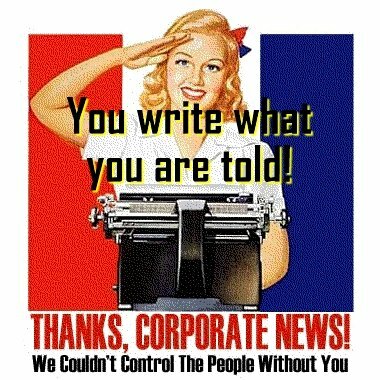 Are there questionable connections to zionist corporate media? Does the censoring of independant journalists and individual guests, like Ted Pike, or Jack Blood, seem to be a problem with Jones, et. all? Looks like it to me, how about you? Regardless of personalities, on a "free speech network"; do the listeners deserve to be cut off from information and content they want to receive, and have been supporting - due to the greed and the desire for celebrity? No. from corrupted "alternative " media. Alex Jones and GCN and their cronies are not my kind of alternative. After what happened to my site when the original pages were published; I have no doubt of the less than genuine intentions of the Alex Jones Machine. The organization is nothing more than controlled dissent, in my opinion. By co-opting the good reputations and credibility of some guests, the air of credibility is assumed to be equally as valid for the host. By having on guests with integrity, integrity by association is desired....I'm here to say, that is what is being tried here. As Bill Hicks said, "Entertainment is a weapon." The Alex Jones Machine has ties to the highest of the zionist elite. The Alex Jones Machine preys on the good hearts of patriotic Americans, their love of their country, and their fear for it's future. What are Jones "fans" going to do, hit TPTB over the head with a DVD? Yeah, that's going to work. No thanks, I choose to work with more trustworthy problem solvers. I have stated nothing here that is false, or mis-leading. I have backed everything up with facts. It's how I do things...whether I agree with the story, or not. Now it's up to you to make up your own mind. The email that has been received and what I see on some message boards has been interesting. Someone says I am most likely a "jewess" because of my surname. (Tip to questioner - in the U.S. it is not uncommon for a woman to take the name of her husband when they marry.) Kramer is the third surname I have had in this life. I am not Jewish, not that it would matter. None of this is about religion. I was educated by Dominicans in elementary school, and Franciscans in high school. I left that organzation after that. Meanwhile, both of the websites containing these documents remain secure...tell two friends. "Things won't change unless people become more valuable than money." For the record, I spent $75.00, that I didn't need to be spending, to protect my "free" speech regarding this story. THAT'S your "patriot network", for you, folks. "People refuse to give up hurtful ways. A man stubbornly crowds his mind with troubles because he fears empty space. He thinks an absence of wrong thoughts will make him vanish without identity or purpose. He is like a child who won't give up a favorite toy for a new gift. His mistake is in thinking that he is his thoughts, which he is not. His true nature is spiritual, not mental. So volunteer emptiness and receive fullness. Only a clear airfield can receive incoming planes." Who am I and why did I write these pages? And YES...I know it was long...get over it. You can't sound byte this stuff!! !